The patented MTC Engineering Multi-Stage lock up units are designed to apply additional clutch clamping force in a more progressive manner than the 2-stage. The 1st stage lock up rocker arms will start to apply pressure about 15-20 ft from the starting line, further down track the remaining arms apply additional clamping force to prevent clutch slippage on the top end. This makes the Multi-Stage lock up an excellent choice for turbocharged applications. Short wheelbase bikes will also benefit from the progressive application of clutch force in that, the rider can tune the lock up to apply later in the run to alleviate a wheelie or tire spin condition, while still maintaining full lock up on the top end of the track. 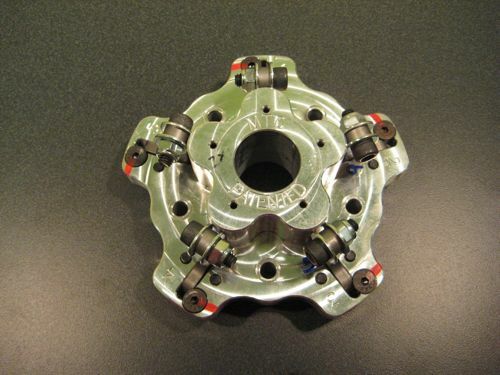 Must use one piece billet inner hub # MTC1300-731 For more info click here: / Clutch cover and pressure plate core required.